The Horsford’s Group of Companies salutes OUR CHAMPIONS, S L Horsford St. Paul’s United Strikers Football Club, on its capturing the 2013-2014 Premier Division Football League Championship. We are extremely proud of this accomplishment. S L Horsford & Co. Ltd. has partnered with this highly energetic, tremendously talented football team for the past twenty-one (21) years, and we have relished every moment. 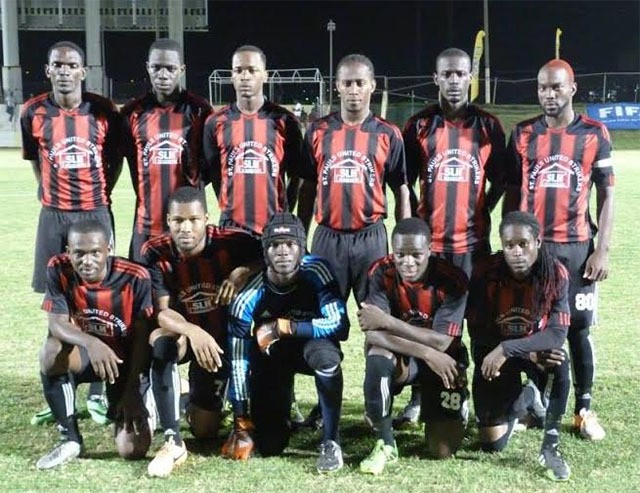 St. Paul’s United Strikers has been a consistent contender over the life of the Premier League and has been in the Playoffs and, indeed, in the final two positions on several occasions. Horford’s is honoured to be associated with such a well-disciplined, hugely motivated and exceptionally skilled group of youngsters and pledges its continued support to our stars. Horsford’s extend best wishes to OUR CHAMPS for a safe, enjoyable and well-balanced period of celebration and wish them a repeat WINNING performance in the 2014-2015 Football Season. © 2013 HORSFORD'S Group of Companies - All rights reserved.